Devices released during the start of the year, often end up dictating the terms for what later smartphones during the year will look like. It’s hence important to look at the Vivo APEX 2019 and Meizu Zero as handsets that are more than just concepts. Both these phones shocked many with their arrival, owing to their button-less and hole-less designs. And in making up for the absence of these essentials, they have given us newer technologies to marvel at. 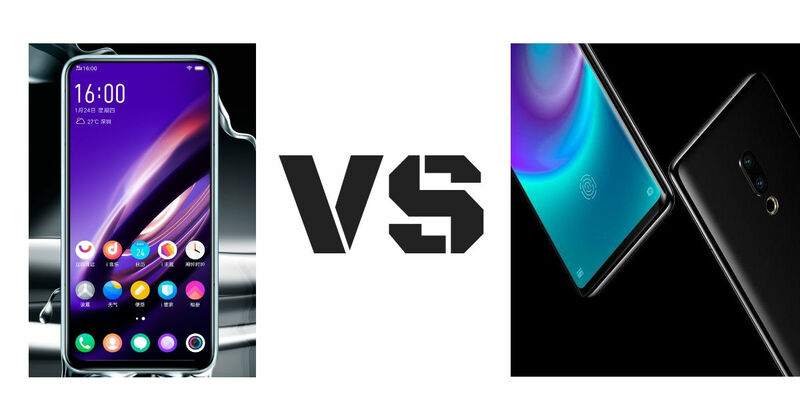 Let’s compare these two new phones, to see which among the APEX 2019 and Meizu Zero is better. The APEX 2019 has what Vivo calls a ‘Super Unibody’ curved glass design. Its rear surface has been blessed with dual cameras, while its front surface features a full-screen display with extremely minimal bezels. Its 6.39-inch FHD+ display is spread in such a way that it doesn’t leave space for any front camera to be present here. And since the company is committed to a hole-less body, it has not even granted the phone a pop-up camera. Things are a little different on the Meizu Zero, as it does have a front camera resting on its top bezel. Its 5.99-inch full HD+ Super AMOLED display is curved, and tapers along its edges. On its rear, you can find a dual camera assembly. As you know, there are no buttons on the sides of both the handsets. So you can find pressure-sensitive areas, but replacing them are pressure-sensitive areas serving the same purpose. Both the phones have in-display fingerprint scanners as well, but the one on the Vivo smartphone is claimed to be available on the entire display. 3.5mm sockets are of course absent due to the hole-less design approach, and the same can also be said about charging ports. While the Meizu Zero supports wireless charging, the APEX 2019 bears magnetic pins on its back for wired charging and data transfers. This phone turns itself into a speaker using Vivo’s Body SoundCasting technology. A similar feature is also onboard the Zero handset from Meizu. The Vivo APEX 2019 is a 5G smartphone. It achieves this by integrating Qualcomm’s X50 5G modem. And it’s no surprise that it uses the latest and greatest Snapdragon 855 processor for handling its operations. There’s a whopping 12GB worth of RAM for the internals to access, apart from 256GB of storage. The Meizu Zero runs on the Snapdragon 845 platform, and its other details have been kept under the wraps for the time being. Being a Vivo phone, the APEX 2019 will feature the FunTouch OS, whereas the Meizu Zero will run Flyme OS. Both these Android-based custom skins have been equipped with the same kind of the enhancements that you can expect from other Chinese ROMs. Vivo has stayed away from revealing the camera specifications of the APEX 2019, though we can expect to learn more about them at MWC. As for the Zero from Meizu, it grabs a 12MP + 20MP rear camera setup, with AI enhancements. The front camera on this device sports a 20-megapixel sensor. The battery capacities of both these handsets are still unknown, but we do know some details about their charging abilities. As we said, the Vivo phone will hold MacBook-like magnetic connectors on its back for charging and data transfers. The MEIZU Zero on the other hand, will support wireless charging. The company has developed a new mCharge technology, which is able to provide 18W charging wirelessly. Vivo and Meizu have steered a lot of attention towards themselves by revealing the APEX 2019 and Zero, respectively. These devices are aimed at showcasing the possibilities of alternative technologies, and they are doing that job pretty well. What remains to be seen is how many of these features will be seeping into consumer-grade phones later this year. We’ll have to wait to find that out.